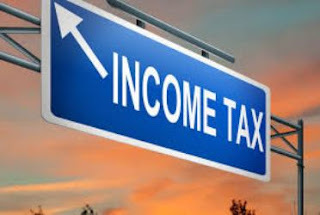 Our premium website https://www.chdcaprofessionals.com Visit for regular updates on Income tax, Gst,Companies Act 2013 ,Tds,International taxation. For the Assessment Year 2016-17 and 2017-18, a domestic company is taxable at 30%. However, for Assessment year 2017-18, tax rate is 29% if turnover or gross receipt of the company in the previous year 2014-15 does not exceed Rs. 5 crore. CLICK HERE TO DOWNLOAD FORM 16 PART B A/Y 2018-19 / A/Y 2017-18 / A/Y 2016-17 / A/Y 2015-16 / A/Y 2014-15 / 2013-14 in Excel WITH FORMULAS. Verify Payment” facility has also been enabled for payments made through HDFC bank. Payment of Stamp Duty on Articles of Association for increase in authorized capital of company having registered office in National Capital Territory of Delhi has become mandatory w.e.f. 01/08/2012 vide notification of The Indian Stamp (Delhi Amendment) Act, 2012 on 31/07/2012. Online verification of Tds certificate has been enabled on Traces. TRACES for deductors. Refer e-Tutorial for detailed instruction. Deductors can register their Digital Signature in PROFILE after registration. PAO registration has been enabled on TRACES. Refer e-Tutorial for detailed instruction. PAO can view their Dashboard, Profile and Statement Status after registration. Updated version of ITR 7 and Offline Forms (other than ITR) are available in the portal.Assessee may download and use the same. challans reported by the deductor are yet to be verified. Rule 7C of Service Tax Rules, 1994. TIN will accept TDS/TCS statements only pertaining to Financial Year 2007-08 and onwards. Statements for Financial Years upto 2006-07 will not be accepted at TIN. The above is with effect from July 1, 2013.